The Sage is an excellent and affordable starter bow for both youth and adult archers alike, especially for those seeking a more earthy alternative to the Polaris. The bolts require no tools and are textured for an easier grip and the sockets fit firmly around the limbs. It features standard bushings for a stabilizer/reel, sight mount and elevated rest. The bow can be shot either off the shelf, thanks to is radiused nature, or off an optional elevated rest. It pulls back smoothly, even when overdrawn and has tips that are reinforced with phenolic to allow for Fast Flight string compatibility. 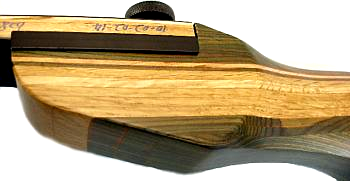 Overall this is bow has excellent value for its price range and would suit any starting archer interested in recurves.